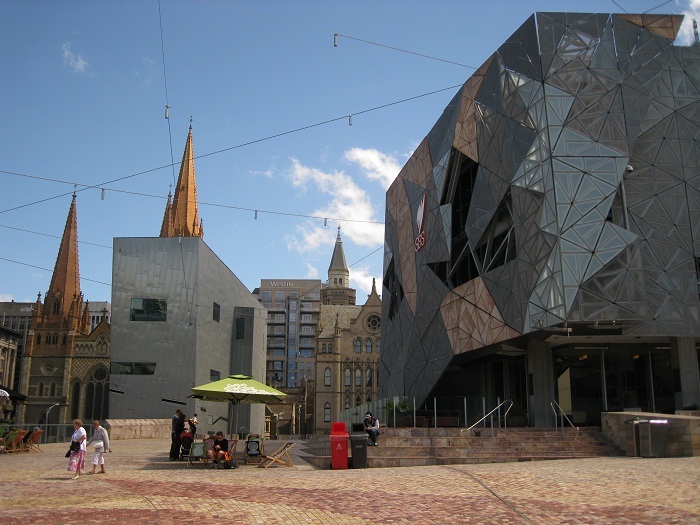 Federation Square is a public mixed-use development which is located in the inner part of the city of Melbourne, Australia, and has become one of the most important places in the city. 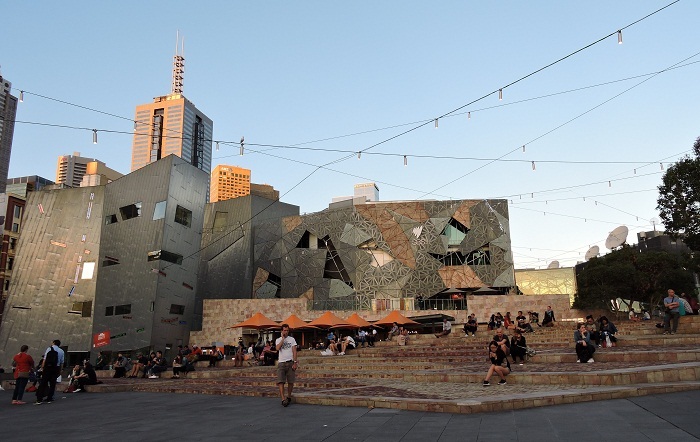 As it is the heart and soul of Melbourne, this modern plaza is home to major cultural attractions, world-class events, tourism experiences and an array of restaurants, bars and specialty stores. 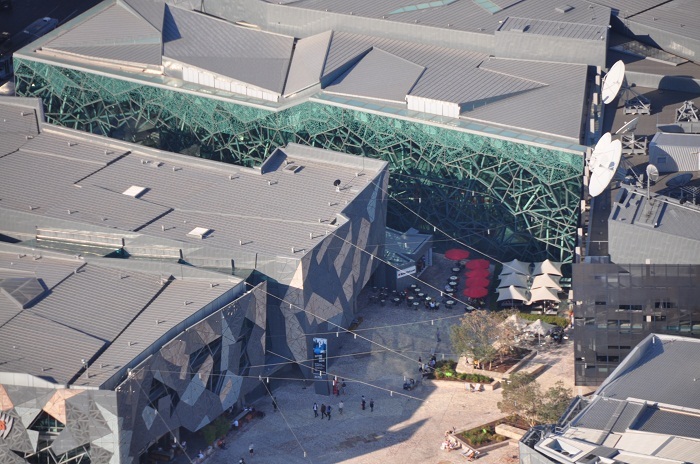 It has a total area of 3.2 hectares ( 7.9 acres) which is centered around two major public spaces. 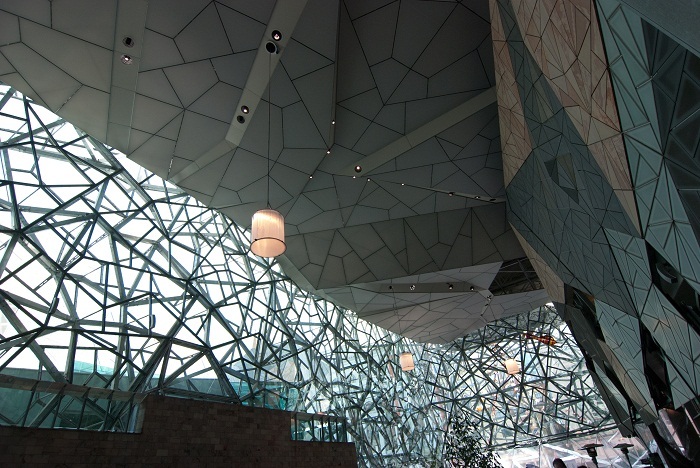 There is the open square which is known as St. Paul’s Court and The Square, together the covered square named The Atrium. 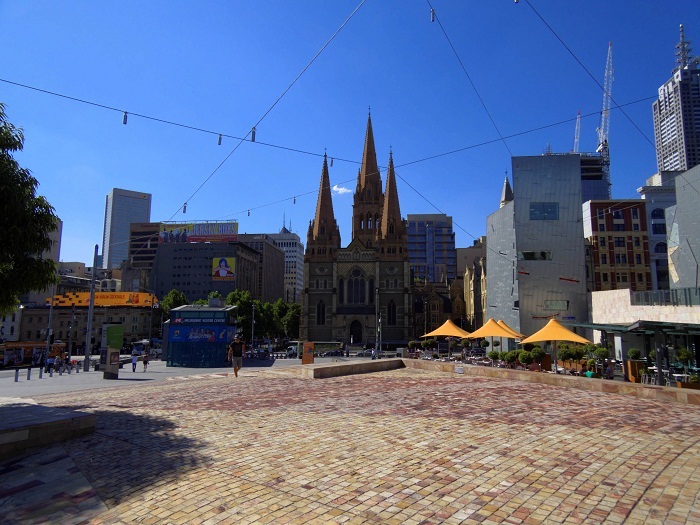 The whole square is built atop a concrete deck under which there are many busy railway lines. 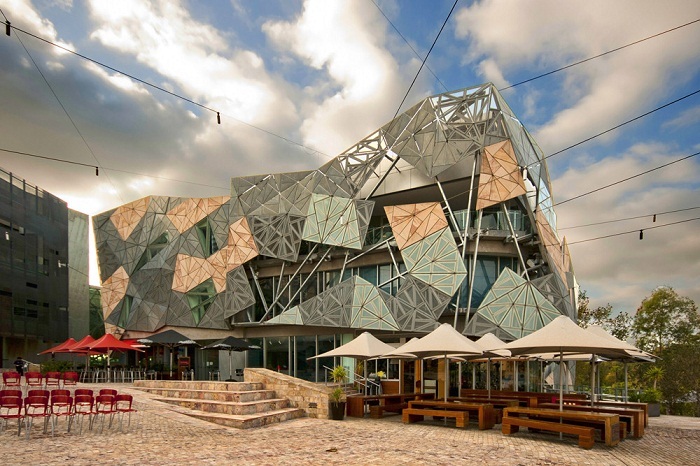 Federation Square first opened in 2002, and has seen more than 100 million visits, positioning it as one of the most visited attractions for interstate and international visitors, and a beloved destination for locals. 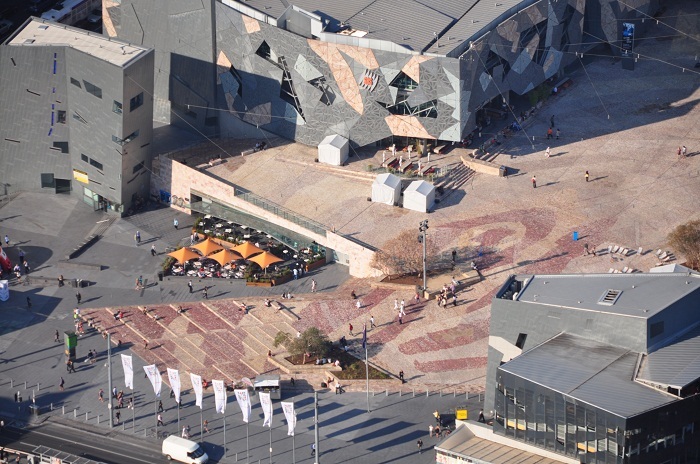 Comprising an entire city block and paved in sandstone cobbles from Western Australia’s Kimberley region, Federation Square rises slightly above street level offering spectacular views of the City of Melbourne, Southbank and the Yarra River. 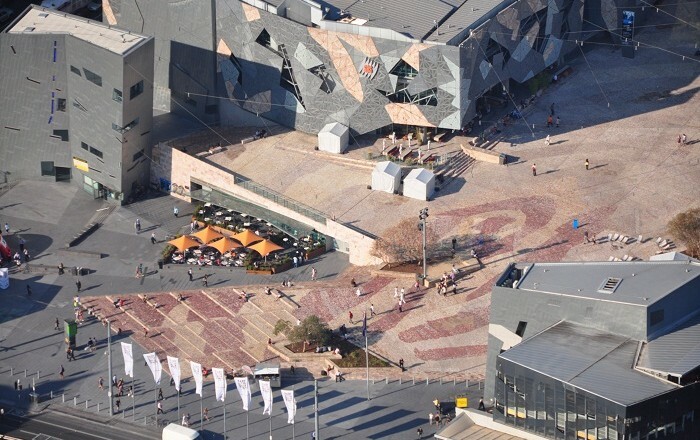 The plans of the development were chosen in 1997 after having received around 177 entries that were giving a solution on how to organize the public space. 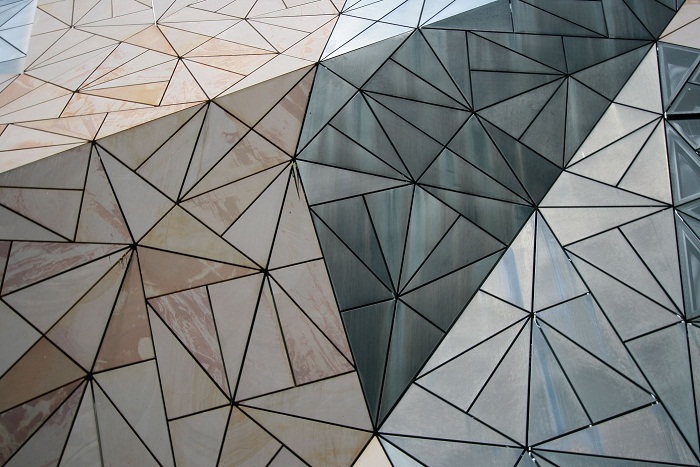 The best one was chosen from the consortium Lab Architecture Studios, directed by Donald Bates and Peter Davidson from London, Karres en Brands Landscape Architects directed by Sylvia Karres and Bart Brands and local architects Bates Smart. 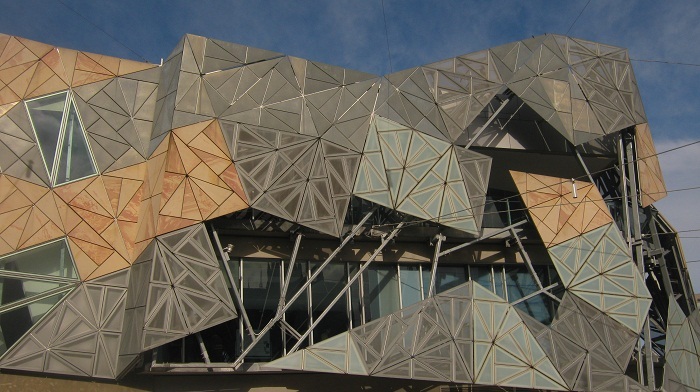 However, when the Government of Australia changed, the plans of the development slightly changed and also the costs of the project increased mainly due to the cost of covering the rail-yard and modifications to the design and there were long delays. 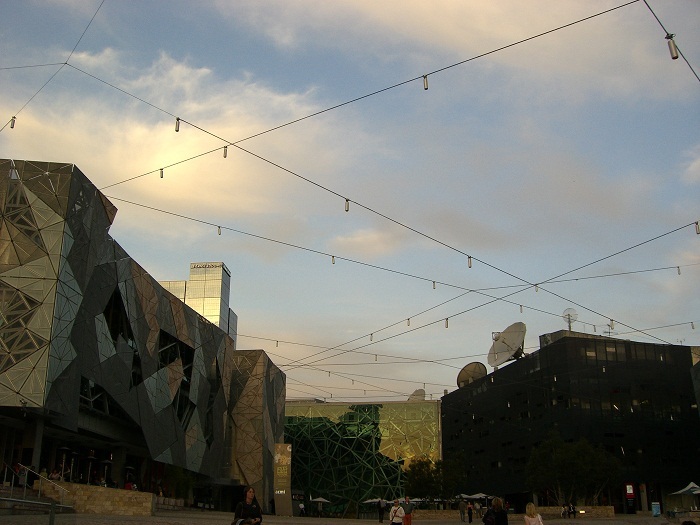 Nonetheless, Federation Square is also Melbourne’s events center, with more than 2000 events held annually, including multicultural festivals, markets, film screenings and sporting events. It can hold up to 10,000 people at a time. 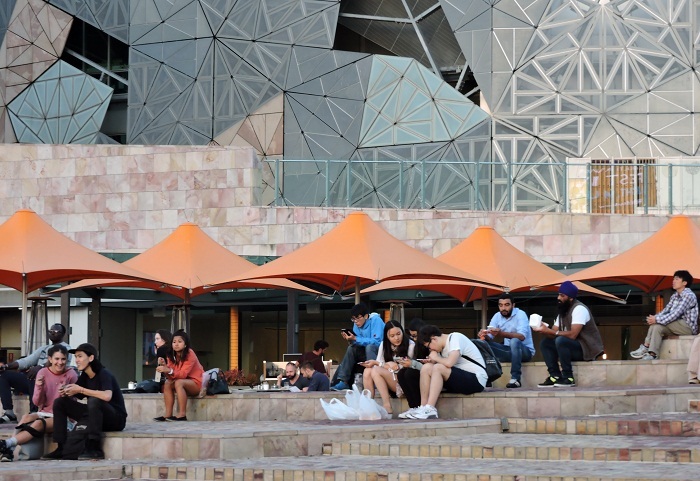 It definitely is a place to be while in town, and it is bringing a lot of people together, which can be seen as a positive thing since Australia is one of the countries in the world that has much to offer.